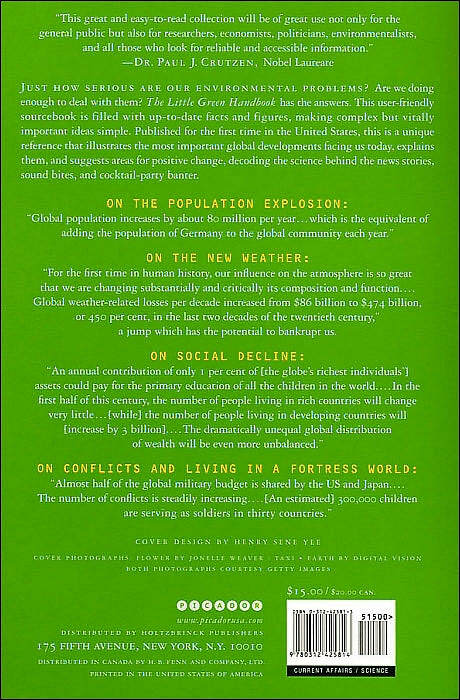 This book will help you to understand the current critical global trends shaping the future of our planet. extracts from reviews and readers' comments. Available in bookshops in Australia and New Zealand and in any country via online bookshops. Available in bookshops in the US and Canada and in any country via online bookshops. Bookshops are advised to contact Pan Macmillan in Australia or New Zealand. Individuals or organisations can order directly from Scribe Publications. Fundraising opportunity: Larger orders by schools or other non-profit organisation may be available at a discount price (please check with the Publisher). 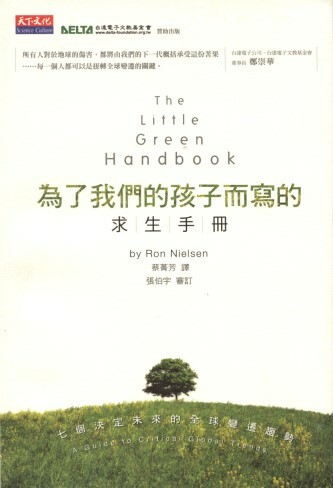 The US edition of The Little Green Handbook is available in bookshops in the US and Canada, and via the following online bookshops in any country. If you live in Europe, try Amazon Germany. In particular, if you live in France or UK try Amazon France or Amazon UK, respectively. What makes the book so special and why should you be interested to read it? Acclaimed by a wide range of readers. This book has now been praised by a wide range of readers— common readers and top academics. All in one. The book contains a description of all critical global trends. You don't have to read many books, which discuss isolated issues—you have it all here in this one, relatively small volume. Well packed. This book is packed with information. I've tried to avoid padding and rambling. This should give you a good value for your money. Easy to read.The book deals with complex issues from a wide range of disciplines but it is written in a simple language. Anyone who can read a newspaper will be able to understand my book. Reliable. The book contains unbiased information from reliable sources. Whenever necessary, I have also carried out calculations to check the claims made by other authors and to extend the existing research by adding new results. Reference source. Even though the book is written using a simple language, it is already used as a reliable source of information by people conducting research. Subsections. I have broken the text into short subtitled subsections. You can read the book from cover to cover or you can read just one subsection at a time. You do not have to work hard to learn something useful. Tables and boxes. Each table is self-contained. You do not have to search laboriously through the text to understand the listed numbers. You can take any table and you will find that it contains everything you need to have to understand and to interpret the numbers. The same applies to boxes. So again, as with the subsections, you don't have to read the whole book or the whole chapter. You can just read information presented in a single table or box and understand it. In conclusion. We all live on the same planet and the current critical global trends will affect us all to a greater or lesser degree. We all need to understand what is happening around us and how the critical events shape our future and the future of our children. You will find everything you need to know in this one concise and easy-to-read volume. I am a nuclear scientist but I am also interested in a wide range of other fields. I have been interested in environmental and social issues for a long time but never as strongly as I am now. This renewed interest was triggered by a public lecture at Bond University, Gold Coast, Australia. At the end of the lecture a speaker had shown a graph, which was supposed to illustrate how fast the global population was increasing and how it would cause a global crash in a certain year. The graph seemed convincing but I decided to check his claim. I have found that unfortunately the speaker have not included all the data points on the global population. His general idea was correct but had he included all the data points, the graph would have looked less dramatic. After including all the data points the graph indicated a possibility of a soft landing rather than of an inevitable crash. One thing led to another and I found myself analysing an increasing number of data not only in relation to global or local populations but also in relation to other environmental and social issues. Doing research is my passion, and my investigation of environmental and social issues was aimed at satisfying my curiosity. I wanted to see what is true and what is not about various claims. I have soon found that people were interested in what I was doing. This has led to a long series of radio programs. My listeners were asking me for my book, which did not exist so I prepared for them a short summary. They wanted to know more, so I prepared for them another, a little longer summary. Eventually, all this led to the publication of The Little Green Handbook. Am I a green activist? 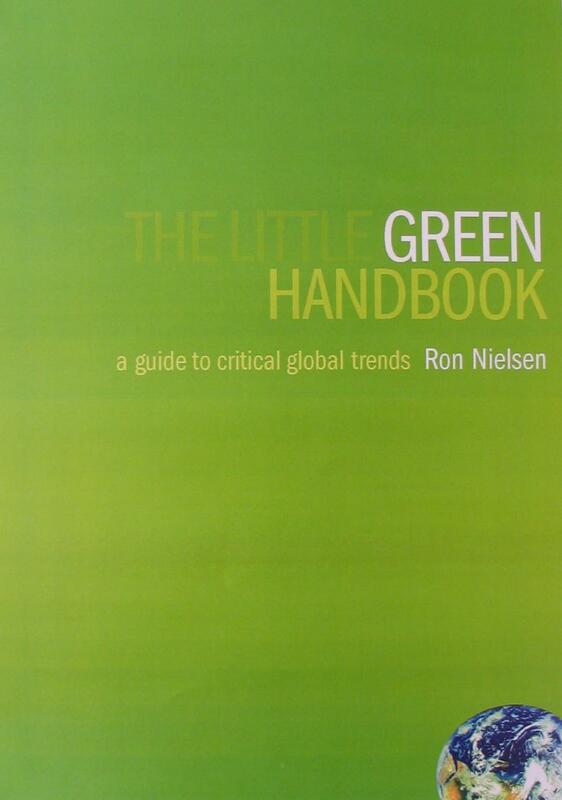 The title of the book might suggest that I am a green activist, but I am not. If you look for a way to describe me in connection with this book then perhaps a concerned scientist could be a sufficiently good description. But a similar description could also apply to you if you share my concern about the future of the human race. I do not belong to any environmental organisation and I do not subscribe to any dogma about the environmental or social issues. If green or other activists propagate ideas, which make sense I will accept them. If not I will reject them. I'm a scientist with many years of experience in research and one cannot be a scientist without a good dose of skepticism. Scientists have a habit of asking penetrating questions. Science is a self-correcting discipline and scientists have to be critical not only about what other people do but also about their own research procedures and results. Above all I also like the truth. Creating fictions stories is good for fiction writers but not for scientists. And so, when I was doing my research and when I was writing the book I had no axe to grind, no preconceived ideas to support, and no cherished theory to defend with a blind determination. I do not subscribe to doomsday ideas. The purpose of my book is not to create panic. This would be counterproductive. The book presents an unbiased, clinical assessment of the health of our planet, which doesn't have to be terminal. Unlike other books on similar topics it contains an objective analysis of all critical global trends. This is important because if we can see all of them explained in one place we can have a better picture of the problems we have to solve and we can better appreciate how important it is to solve them. I consciously avoided expressing my opinions in the book. I made also an effort not to become emotionally involved. My aim was not only to present a truthful account of the state of the world but also to outline what we should do to create a better future for our children, and what we can expect if we neglect our duty of care, that is if we do little or nothing to change the course of the critical global trends. If by being doomed you mean that we are predestinated to perish and if you ask me for my opinion then the answer is NO. However, we can cause a doomsday if we continue to behave foolishly. So the choice belongs to us and if we chose to neglect our opportunity to do what's right we shall only have ourselves to blame. The general consensus is that we do not have much time left to change the course of the critical global events and that if we don't do what's right we shall miss the opportunity to solve the critical global issues. Indeed, there's a justified fear that we might cause our self-extinction or that we might create unbearable living conditions on our planet possibly within only a few decades. It's not for us to decide whether our future is already determined. Whatever believes and interpretations we might have about the critical global trends it would be wrong to assume a fatalistic attitude, do nothing, and wait for the sky to fall on our heads. We still have many options opened for us, and it is our duty to explore them. But first we have to understand the problems that need to be solved and critical issues that threaten our survival. 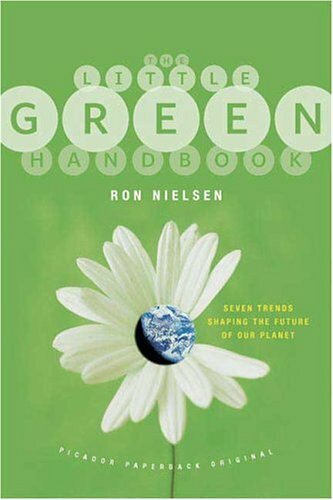 I have written The Little Green Handbook for this very purpose — not to predict the future and not to tell you what will definitely happen to us, but rather what is likely to happen if the current critical global trends are allowed to continue without anyone's interference.